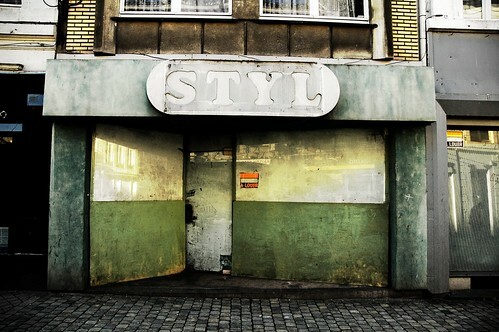 Photo of Verviers by MrTopf used under a Creative Commons license. Luc Sante, The Factory of Facts (Pantheon, 1998). Born in Verviers, Belgium, in 1954, Sante emigrated with his parents to New Jersey as a child and grew up between the two worlds, unmoored from Belgium and adrift in America. To understand and retrieve his heritage, Sante wrote this memoir of sorts, often more a book about where Sante came from than about his own experiences. Verviers is a hard-luck industrial town in the Walloon south of Belgium, and generations of his ancestors have lived there within a few miles. Sante has escaped Verviers’ gravitational pull like none of his forebears, but this book is the result of something pulling him back. On a personal note, the notion for this blog came to me one night two years ago as I was fretting over an impending trip to Belgium and realizing that I didn’t have a book. Now I’ve found a Belgium book. Wikipedia tells you a little about Sante. This excerpt, the first chapter, will not tell you what the book is like. This passage is perhaps more representative. Here is a list of pieces he has written for the New York Review of Books, some of which are available to non-subscribers. More about Sante and his home here. W.S. Di Piero (The New York Times) calls it a forensics of remembrance, an investigation of selfhood as it is articulated in and by history. Geoff Dyer (The Independent) read a compelling narrative compiled from the shavings of memory, with lapses into accretion and survey. Charles Taylor (Salon) tuned out during long sections on Belgian history and culture (I quite liked them). Steven G. Kellman (USA Today (Society for the Advancement of Education)) calls it a lush, exotic plant that garnishes the varnished wooden shelves that house most other memoirs. Richard Bernstein (The New York Times) says Sante strives to sustain a literary and psychological intensity that the material itself doesn’t quite allow. It didn’t make Ronnie Cordova want to go to Belgium. Sante writes about French. The Believer interviewed Sante in 2004. So did Peter Doyle, for Scan. Brian Berger interviewed him in 2008. So did Suzanne Menghraj, for Guernica. Watch Sante talk about cigarettes in 2007. Listen to Sante discuss Belgium’s split personality on this BBC program. Here is Pinakothek, Sante’s blog about pictures. Sante posted these pictures, discussed in the book (I think) and complementing it well. I won’t try to explain this.